I think that 2012 will be another fake like 1999 was. Nostradamus or whatever...these guys are fake. why do u think that 2012 will be different? 2012 is not a prophecy, it is a very specific point in Earth time that has been verified by numerous independant sources. The Mayan date is based upon the alignment of the galactic equator with the winter solstice sun and the solar system, the Energy effects of which could be profound. The I-Ching is also a calendar culminating on December 21, 2012, and that was developed by the Chinese on the opposite side of the world to the Maya. And there is numerous other evidence pointing to the same date. Even many of the crop circles, which are not man-made, are pointing to the Maya and 2012. A prophecy or just a couple of pieces of evidence one can say is inconclusive, but I am aware of a least 40 different factors pointing at 2012.
this will make earth look like a bulleye's for extraterrestrials? They are already here anyway, and likely have been for at least 1 million years. Ancient records are full of such accounts. The only ET's that will not welcome 2012 are those who have other plans for Earth and its residents; fortunatelt there are not many factions of such ET's; most of them are passive observers. Hehehe..that's cause your as old as time Adrian. I am sure minds would be change as well. I blame some parents too. They give their kids everything without showing them how to appreciate what you get or they buy their love because they either have not time, or don't want to take the time to just BE with their children. Big thing with us as a family is going camping or just going to the park. We love nature. and of course my kids love playstation and music too, but they appreciate the games and music they have. But you are right. As you know I have been a single father for the last 12 years and I make sure my kids have everything they need to be happy, and that means all the stuff I mentioned before. But; it has to take a proper perspective. We often go out into the countryside andplace a proper perspective on things; over here is a great place to be for that; in fact it is the main reason I am here. It really is my pleasure. I have just finished listening to the Google Video of your Outside the Box interview which was extremely well done. It is so important that as many people as possible learn about and hopefully go on to experience Out Of Body Experiences, because, as you said in your interview, it is personal validation of the truth of the continuation of life after the "death" of the physical body, and the start of a the true Spiritual path. Certainly this is my objective and I have alot more planned in the future. In the meantime thanks again for the access to your resoureces and especially a for your contributions at the Astral Pulse. Yeah ADG..that's exactly whom I was referring to...geez. The kids that get ticked because they don't have the right shoes, or own an IPOD..the ones who whine about life in general because they can't stop for one minute and figure out that the world doesn't revolve around them....those. I guarantee if the kids these days had to deal with what kids in poverty stricken areas have to deal with, they would stop the whining. Back then in the cold dark evenings we could look forward to reading a book. I am sure many kids would have a better appreciation of life as you say if they experienced just a month of the same. I do not often do this but I am herewith endorsing the exceptional resources of our member The Voice of Silence. David has a site with extensive personal journals, audio and even video accounts of his experiences over the course of many years. Such a resource is unprecedented in my experience. The benefit of a resource such as this is that is can provide considerabale inspiration as well as teaching to those aspiring to achieve these valauble states of being. He does request that you contact him for a access details to the site which I believe is absolutely right in view of what is on there. And you can contact him for access details by using the contact form provided. Please use this topic to discuss this exceptional resource. Is this evidence to support uneasing tension amongst the countrys? What are your thoughts on this? Related to the Mayan calendar and just generally. Well ironically this has come to pass it seems. From a 2012 perspective there was apparently a connection in that the six years leading up to the dropping of the bomb on Hiroshima are a perfect resonance with the 6 years leading up to 12-21-2012 on Terence McKenna fractal TimeWave theory. The day we dropped the bomb is a fractal novelty resonance with 12-21-2012. On a more general basis, it isn't the fact that North Korea have tested a nuclear weapon; that is just an event, it is the reaction of the World to it that matters. For example, if the US and UK put on their self-assumed "world police" identity an start to dictate to N. Korea what they can and cannot legally do in their own territory, then of course it will cause more friction which ultimately leads to confrontation and potentially war. We have no right to judge anyone country or otherwise. We cannot force people to live by our statndards, which is probably as well, because those standards are shockingly low and deteriorating in many areas. Question; and this is not a political question because I have zero interest in politics; why should the USA, UK, Russia and other cuch countries have the right to make and freely deploy nuclear weapons at will, while denying the right for other fully independant countries to do so? The US and UK and others might feel they can judge, but they usually get it horribly wrong as with Vietnam, Iraq and so on; the only people truly suffering being the soldiers who are sent to war and disgarded as "disposable". I agree that this is a dangerous situation, but the real dangers are not from N. Korea, but rather from the USA, UK and allies. This will be 5001 of course. It seems like an excellent time to thank everyone most sincerely on behalf of myself and the hard working moderators for your much valued contributions to the Astral Pulse. We are always seeking to improve everything, and if you have any comments or suggestions please do contact me at the email address on the main menu. Thanks again, and here is to the next 5000 topics. I'm assuming a 'kin' is something related to the maya calander on your birth date. Is that correct? How does one determine what their 'kin' is? With thanks again to Hannah for this find, here is an excellent article from that site. and one with which is closely aligned with my own views on this important subject. Yes I am aware of the Ra materials. I am personally extremely wary of any channeled material; there is no way of verifying who the communicators really are. Considering many channelings are "imposters"; i.e. lower Astral beings desperate to communicate with humans, and appearing as anyone they need to be to do that, it is necessary to be extremely cautious. That said, communications from genuinely evolved Beings are unmistakable for what they are; and there are same important ones. I suppose the most famous channeler of Egyptian Beings was Aleister Crowley, and look where that led He thought he was a chosen one on a mission as well. These communicators generally trick the medium into believing they are chosen ones of some type. You also need to look to see whether these organisations are sort of cult-like in any way. 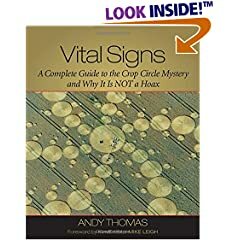 The best, physical, tangible evidence we are receiving today are crop circles. They are real, you can visit them, walk around in them, see they cannot possibly be of terrestrial origin, especially since some of these extremely large and complex structures appear within 25 seconds in broad daylight, and they do contain messages, increasingly based around the Mayan calandars. All we need to do now is decode it all. Maybe the Mayan responsible for writing the calendars said screw this, I won't be alive then anyway, and just stopped making them at 2012. Just kidding, the Mayans were incredibly smart, 2012 must be something huge, or at least they thought so. Them being smarter gave them a large advantage, but they didn't have the technology we have today, and we still don't know exactly what will happen. Whatever will happen, there's not much we can do about it, so we should just be better people, live our lives normally until then, and try not to get anyone upset or scared because of this. The Mayan calendars are incredible feats of math that cannot even be replicated today. And above all they have proved to be accurate to the second. I have contacted Amazon about this; hope to have a reply soon. It is very strange, but hope to have it resolved soon; this is an exceptional book. that's weird. Is anyone else able to bring this book up at Amazon? I am on to this; looks like it has dematerialised from Aamazon completely! I suspect we have ran them out of stock but I will pursue it. There were actually SO many posts about this, that they made a forum for it. Amazing. It isn't only posts here; it is becoming more prominent in many places. 2012 is very closely related to many of the subjects we discuss here, so now is the time to give it its own forum. The site of Geoff Stray, the author of Beyond 2012, the very best book about all 2012, meso-American and "end of time" matters. The site of John Major Jenkins, the author several excellent books on The Mayan connection based upon his own experiences and extensive research. The best site for all Mayan calendar specific matters. An excellent site by Jonathan McGregor Bethel who is a writer for Oracle 20/20 Magazine and the founder of Omega Point Institute. I am only adding the very best, most factual and most trustworthy links here, which I will add to as appropriate. This books is absolutely the best book about 2012 as well as being one of the best books I have ever read. I know the author and can personally vouch for him. There is new "new age", conspiracy, speculative or any other bias in Beyond 2012, only the facts as we know them to be. As we rapidly approach the year 2012, initially brought to prominence by its now famous association with the "end of the Mayan calendar", there seems to have been a veritable avalanche of books published purporting to address the period leading up to this extremely important event. However, due to its potential importance to all mankind, it is absolutely crucial for as many people as possible to be in full possession of all the true facts as we know them to be at this juncture, to understand their meaning and significance, and most importantly presented without any bias in line with current "new age" and similar trends. 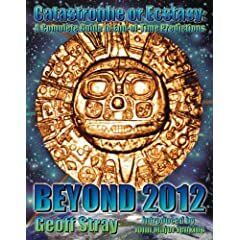 Beyond 2012 by Geoff Stray is an absolute masterpiece of 2012 research, analysis and factual documentation, and one by which all others will be measured. Geoff has executed an absolutely brilliant, and to what most would be daunting task of thoroughly researching, analysing and presenting the facts and nothing but the facts in an extremely detailed, conscientious, impartial, professional, compelling and above all highly understandable way, without the slightest hint of personal bias or creative interpretation of the facts. If you are looking for a book about the potential events associated with 2012, and these are events that everyone on Earth without exception should understand and be prepared for in the next few years, then Beyond 2012 is the only such book you should ever need in your library. 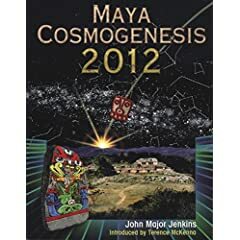 If you also require a book that deals with the Maya aspect of the 2012 scenarios, I would highly recommend Maya Cosmogenesis 2012: The True Meaning of the Maya Calendar End-Date by John Major Jenkins as the ideal companion book to Beyond 2012. Maya Cosmogenesis 2012 is an extremely detailed and scholarly journey through the absolutely extraordinary life, cosomology and legacy of the classical Maya. This book is a must read for anyone remotely interested in these important matters. Every year crop formations, known as "crop circles" appear, mostly in an areas of Southern England, that include considerable complexity and symbology, increasingly with reference to 2012 and the Mayan calendar. Crop formations are in and of themselves incredible creations, not of a terrestrial origin, that often appear in the form of extremely complex formations several hundred feet across in a matter of seconds offering the best tangible evidence and information we have access today on Maya, 2012 and other important matters. This book is highly recommended as the best insight into everything related to crop formations. One subject I receive many emails about, especially as we near the potential events, is 2012, initially brought to prominence as the so called "end of the Mayan calendar". In fact the Mayan calendar is only one integral part of considerably larger and independent evidence from multiple sources of absolutely crucial events for all mankind around the central date 11:11 GMT, 21 December, 2012. We do not yet know exactly what will happen or indeed if anything will happen, but with the increasing evidence it will, and the absolutely massive implications for mankind and the planet Earth, now would be a good time to start these discussions. I will be adding recommended books, sites and other resources very soon, but to start things off below is a copy of my newsletter of some weeks ago on the subject of 2012. This is a very serious issue so please can we keep it serious. While conspiracies, ET's, channeling and other factors all have their part to play, they must be kept in perspective. This subject is extremely relevant to the Astral Pulse because as we near 2012 such experiences as spontaneous Out of Body Experiences, Astral Projection, Lucid Dreams etc. could well become increasingly prevalent; and we need to discuss them here. Also, the most likely outcome, if there is one, will be a "stripping away" of time and space and a merging with the 4th Density; i.e. the Astral worlds; again, one of our main topics of discussion. here. With a calm, balanced, knowledgable resource, we can approach 2012 with joy rather than any negative emotion, because if 2012 does happen it will be a cause for great joy. One question that frequently arises is that of the year 2012.
of the Mayan calendar and everything that implies. happen to all of us? of the basics surrounding 2012. What is the real significance of December 21 2012? date that represents the "end of the Mayan calendar". astronomers, mathematicians and builders; among other things. beyond beyond the capabilities of so called "modern man. also charted the cosmos, and forthcoming great world events. take place on December 21 2012. The big question is what? and through other resources which will be announced in due course. the right context can we be fully prepared for this event. fact linked in various ways. But today let us take a look at some of the very basics of 2012.
precisely to past and future cosmic and world events. manifest at any level from the Universal to the individual. physical life. Energy is everything! amazing mathematical abilities, track future events. significant of which were the "Short Count" and the "Long Count". short periods of 13, 52 and 104 years. the end of which is also the end of all Mayan calendars. days from the time it was inaugurated. baktun has 144000 days, each katun has 7200 days, and so on. Cycle" of the Long Count. spread out as a chronotopology that we simply call "history". pitch of climax during the 13th and final baktun 1620 CE to 2012 CE. a saturation point, where "history" simply has nowhere else to go. Long Count calendar to coincide with the end of this great cycle. Atlantis, etc.. The final quarter is December 21, 2012. Tree", with our star, the Sun, at the very centre of this alignment. indeed the entire solar system. The question is; what does it all really mean for us? in the process, although I and others are very much tracking it. indeed a combination of of all of these. waves in the extra low frequency ELF band. caused by the molten iron core and the rotation of the Earth. Resonance although they may not be directly connected. creatures going off-course and beaching themselves. in fact since the last dinosaur extinction 65 million years ago. is certainly no value in speculation. too complex to make sweeping, dogmatic statements of that nature. humans and all life, or how long the entire process will take. and prepared as possible for any coming events. entirely on where you are Spiritually at that precise time. in the best possible light in preparation for whatever is to come. sets out these vital steps. The Source, The Prime Creator, some simply call "God". How would killing urself, NOT solve all your problems? You will be totally lifted off this world, and cease to exist. That's pretty much solved to me? I suggest you read this entire thread and you will receive the answer to your assertion; which is erroneous.